Vietnamese-style tamarind crab (cua rang me in Vietnam) is an incredibly straightforward, nonetheless completely mouth-watering dish. the important key to creating this dish successfully is to possess the freshest crab you'll be able to get. 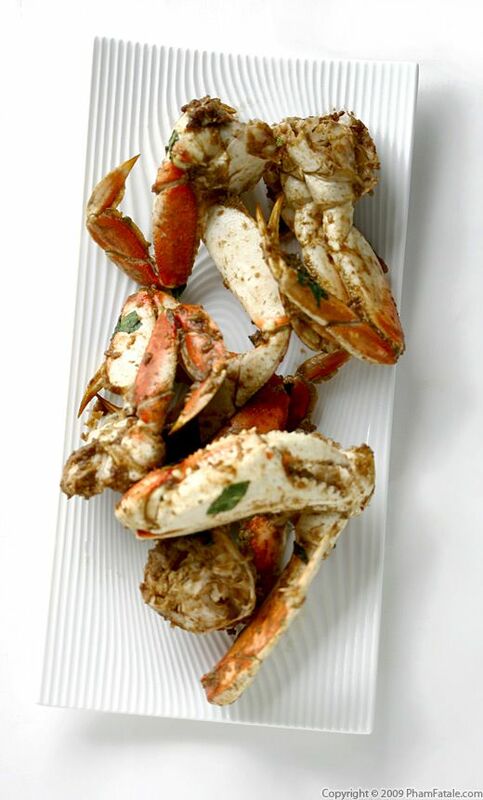 The roughly cracked items of crab are stir fried in an exceedingly sweet and bitter tamarind sauce. 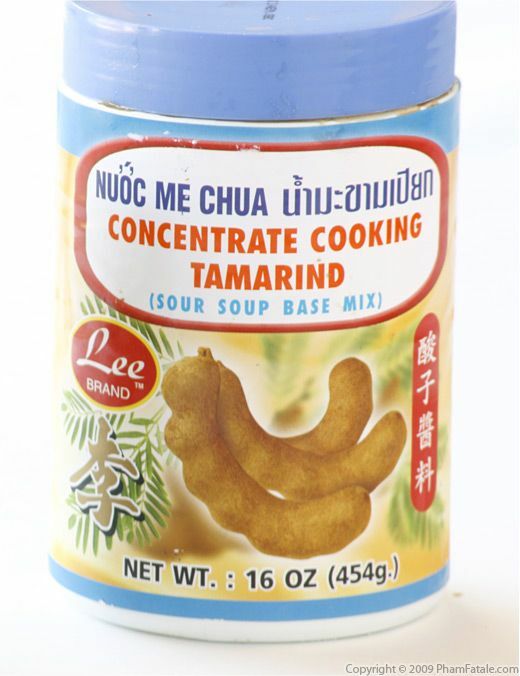 The sauce is formed of tamarind, chili, Thai basil and garlic. The Thai basil imparts an intense fragrance to the sauce, and by extension, to the crab. In a wok, heat the oil. Add the shallots and ginger and cook until slightly golden and fragrant. Add the garlic. As soon as the garlic is lightly browned, add the crab pieces. Jiggle the wok to make sure the crab does not stick to the bottom of the wok and is totally coated with oil. Add the tamarind mixture. Constantly toss the crab to ensure each piece is coated with the sauce. As soon as all the liquid is evaporated, add the chili garlic sauce (tương ớt). Toss for 30 seconds and add ½ to one cup of water and about 2 tablespoons of basil leaves. Cover and cook for about 8-10 minutes, stirring often. 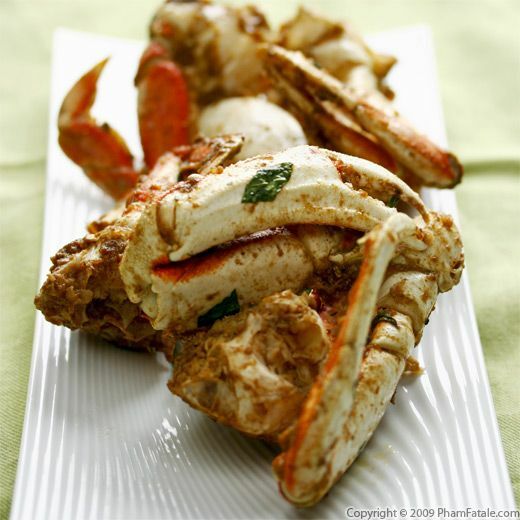 The crab meat should be white and opaque and the liquid should be evaporated as well. Do not over-cook the crab; otherwise the meat will be dry! Un-cover and add the remaining basil leaves and the lemon juice. Toss the crab and cook for another 2-3 minutes. Adjust the seasoning. Season with more salt (if necessary) and pepper; it should balance the sour taste of the tamarind paste and the sweetness from the palm sugar and shallots. 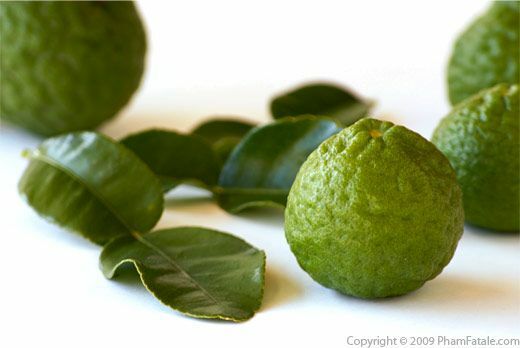 Remove and discard the kaffir lime leaves.